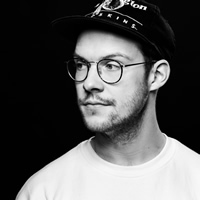 Robin Shaw is an A&R Manager at Sony Music Germany's Four Music label, one of the most established and successful major domestic imprints in Germany working with some of the biggest German acts in addition to well-known international talent. Having started out as a musician, and playing several tours across Europe, Shaw transitioned to the business side of music when he started running independent label Humming Records. He also spent time with the A&R team at EMI Music Germany, as well as running the Berlin office at one of Germany's biggest booking agencies and promoters, Selective Artists/a.s.s. concerts. Shaw's signings and the list of artists he's worked with across his career include Grammy-nominated singer/songwriter K.Flay; Miriam Bryant who, with several multi-platinum singles, is one of Sweden's biggest pop artists; Canadian indie-rock band Half Moon Run; platinum-selling DJ/producer Sam Feldt; and Swedish pop act Tove Styrke, as well as domestic acts like multi-platinum producer Wankelmut and Joris, one of Germany's most successful singer/songwriters.